Is Lebanon on the Brink of a New Civil War? Current: Is Lebanon on the Brink of a New Civil War? After almost three years of turmoil, Lebanon has finally succumbed to the Syrian civil war. For now, the spillover is limited to Lebanon’s north, heavily populated with Sunni Muslims and sympathetic to the fate of their Syrian Sunni brothers fighting Bashar Assad’s Alawite regime backed by the Shiite Iranian-Hizbullah axis. Since the late summer, Lebanon has been the target of Sunni jihadists infiltrating from Syria. Jabhat al-Nusra and Islamic State militants have tried unsuccessfully to storm Lebanese strongholds on the border with Syria. Their main thrust was to conquer Arsal, a small, sleepy border town. If the jihadists had captured Arsal, the road to Tripoli, the second most populated Sunni city in Lebanon, would have been opened, and by extension would have given the Islamic State (IS) vital access to a Mediterranean harbor, thus changing the balance of power in the area. Moreover, the takeover of the Arsal-Tripoli axis would have isolated the Alawite enclave of Latakia, thus reducing the grip of Assad’s regime over a large swath of Syrian territory representing his main “hinterland” and limiting the regime to the shrinking Damascus area. However, the Lebanese army, assisted by Hizbullah fighters, succeeded in defeating the jihadists and forced them to look for an alternative. The alternative was the city of Tripoli, which is predominantly Sunni with a small Alawite community in one the city’s neighborhoods. There has been frequent friction between the two communities, and the Lebanese army had to intervene often in order to restore law and order in an almost lawless city. However, lately the Sunnis have rallied to the Jabhat al-Nusra jihadists with the apparent goal of taking over the city. The jihadists took advantage of the paralysis in which the Lebanese state finds itself since the end of the tenure of former President Michel Suleiman. Indeed since May, the country’s legislators have been unable to agree on almost anything, including legislative elections and a new president. The political system is deadlocked and the only agreed upon issue was the extension of the tenure of the parliament. However, understanding the imminent danger to the state, Lebanon’s army Chief, General Jean Qahwadji, declared in an unprecedented press conference that the state was facing the danger of partition and that events compelled him to make crucial decisions to face the jihadist danger. Moreover, the video of jihadists beheading two Lebanese soldiers justified in the eyes of the Lebanese the adoption of extreme measures. Twenty-seven Lebanese soldiers are still held by the Sunni jihadists after the battle of Arsal. For the first time since the Lebanese civil war ended in 1990, the Lebanese army opened fire on Lebanese citizens. The army reaction was swift, and using helicopter gunships, the army succeeded in ousting the insurgents from the historical center of Tripoli and the intricate labyrinth of its shouk after four days of heavy fighting. A tense calm has fallen across northern Lebanon – until the next eruption of ISIS/Nusra Front violence. Lebanon’s army chief is well aware that he cannot overuse his forces in domestic clashes since the army is based on sectarian battalions and brigades. Another attack on Sunni elements could lead to the breakup of the Sunni components of the army and provoke the disbanding of Lebanon’s armed forces into sectarian militias. By one account, Sunnis comprise 35 percent of the army and Shiites 27 percent.1 A small number of Sunni soldiers’ desertions were reported in the press, but it does not reflect a trend. In the meantime, events in Lebanon have raised the already high tension in the Gulf States. Iran offered arms to Lebanon, in what is seen as a public relations stunt. More seriously, Saudi Arabia offered immediately to buy weapons for the feeble Lebanese army in order to bolster its capabilities against the jihadists. The partition of Lebanon is not an option that the Saudis would like to see especially since events in their “backyard” have brought about a Shiite Houthi-dominated regime in Yemen. Indeed, one cannot overestimate the importance of the fate of Tripoli to the Sunni jihadis. Its fall would have been the beginning of the disintegration of the Lebanese state as a nation-state and the awakening of the old sectarian fears that could provoke its implosion and partition into Christian-Maronite, Shiite, and Druze enclaves facing a Sunnite entity related either to Al-Qaeda (if conquered by Jabhat al-Nusra) or to the Islamic State. 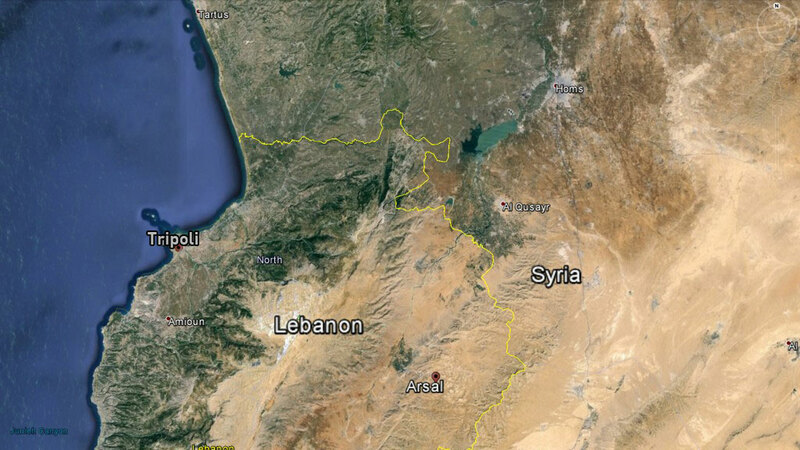 Such a situation would undoubtedly represent the beginning of a new civil war that could end with closer ties between the Shiite Hizbullah-dominated areas in Lebanon and the Assad regime and ultimately with the Christian and Druze territories, which would mean a re-drawing of the regional map already heavily transformed since August 2014 by the establishment of the Islamic State and caliphate. The possible fall of the Kurdish Kobane (Ayn al-Arab in Arabic) town in Syria would definitely fit this current scenario of establishing a nucleus of the Islamic State from the Mediterranean to the very doors of Baghdad.